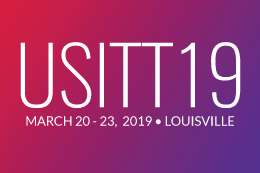 The USITT Board of Directors awarded three Innovation Grants totaling nearly $80,000 at its March 19 meeting. This is the second round of funding in this program, designed to foster new technologies for use in the theatre and performing arts. This project intends to create a computer-directed robot to physically plot load-in and/or spike marks for a stage set. The process, similar to a CNC router, would significantly reduce the amount of time and human energy required to load-in scenery over the currently used manual system of plotting points off of an X and Y axis. The Plotbot device, as described by the submitters, would be significantly quicker and more accurate. The development team anticipates that applications of the Plotbot could also be used in trade shows, construction projects, sporting events, and street festivals. The project team consists of Matthew Leckenbusch, Brad Putman and Shannon Robert of Clemson University, Clemson, S.C., and Mike East of TTS Studios, Charleston, S.C. Flying scenic elements flown on a single point, such as chandeliers, typically rotate due to rotation inherent in the cable from which the element is suspended. 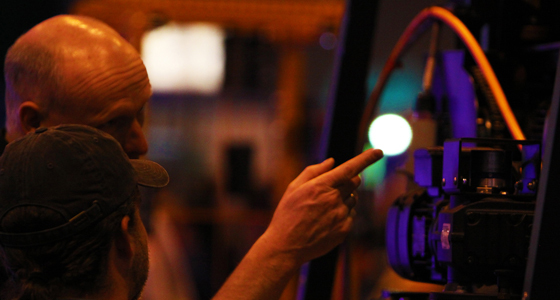 The project intends to develop a product that can easily be integrated into a single-point rigging system at the flown element, the function of which is to physically isolate cable rotation from the element and thereby eliminate cable-induced rotation, which can distract the audience from the story being told onstage. The project is the creation of Steph Waaser, the associate technical director at Oregon Shakespeare Festival, Ashland, Ore. In 2018, Waaser received USITT’s Bernhard R. Works, Frederick A. Buerki Scenic Technology Award, known as the “Golden Hammer,” one of the Institute’s awards for outstanding early career designers, managers, and technicians. The project seeks to create a test-phase virtual reality (VR) program for design and production. The goal is to make this an open-source program to substantially lower the entry barrier for people seeking to use virtual reality in the performing arts. As VR becomes more accessible, the ability to effectively use this technology in the arts is becoming more plausible and practical. While there is significant development in VR worldwide, the project developers note that the U.S. has largely been overshadowed by advancements in Europe. They further note that many uses of VR are in a production context rather than in design or production. The team hopes to create a demand for and increase accessibility to open-source VR tools in the arts. The project team is Collin Huse and Jason Strom of Florida State University, Tallahassee, FL. The work of all projects is expected to be shown in prototypical or completed form at the Institute’s 2021 Annual Conference in Columbus, Ohio.